In this hectic fast pace world, accelerated learning techniques are becoming increasingly more valuable. Learning through time distortion is harnessing the subconscious through conscious direction. 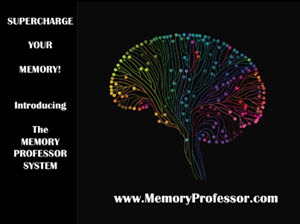 "Instant" mental calculators and high speed readers (over 2,000 wpm) experience a sense of time distortion as information flashes through their mind in only seconds. Through self-hypnosis, you too can learn to review information in a time distorted fashion. As an example, one concert violinist put herself into a self-hypnotic trance and through self-induced time distortion practiced her music in several different ways. By "playing" the difficult spots mentally, it helped her finger memory to improve in speed and accuracy. She was able to review long pieces over and over in very brief "world" time periods, and her technique and technical performance improved strikingly. After reviewing and becoming proficient with "Exercise - Time Distortion," you are ready to apply the technique to learning. In one experiment, a hypnotist told subjects that they had one hour to do an activity (e.g. housework, picnic, car trip, swimming, shopping, watching TV, etc. ), but in reality he gave them only seconds in 'world' time to accomplish their task. Afterwards, it was found that the hypnotized subjects created in their mind a full hour's worth of detailed experiences without difficulty. The experiment was achieved by starting a metronome at 60 beats per minute while the hypnotist stated that he was slowing it down gradually. The subject was to listen carefully as he did so and when in the subject's opinion the metronome had been slowed down to the rate of one stroke per minute, the subject would acknowledge by saying, "Now." The metronome's beating always remained the same, but the hypnotist progressively encouraged the state of suggestibility in the subject by saying that the metronome was going still slower. 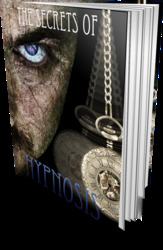 The same suggestibility can be achieved in a self-hypnotic state. Use an audible second-ticking clock or a metronome stroking at 60 beats per minute. Assume a comfortable position in a chair or a bed, and achieve a self-hypnotic state (review "Exercise -- Learning Self-Hypnosis"). After getting into a deeply relaxed state, your heartbeat will entrain itself to the slow rhythm of 60 beats per minute. Concentrate on deep rhythmic breathing and clear your mind to allow your brain waves to also slow down. You can memorize and say the following suggestions to yourself or you can put them on a cassette tape for playback when you're relaxed. 1) I am feeling good. I am feeling wonderful. 2) The beats are slowing now -- slower - slower. 3) The time between each beat is seeming longer and longer. 4) I am relaxed and I have lots of time. 5) Time is only relative to what I want it to be. 6) Each stroke is further and further apart now. 7) There is lots of time. 8) I feel so relaxed, calm and at peace with myself. 9) Time is slowing down. 1) I have plenty of time to review this. 2) Every time I do this, I improve myself and my performance. 3) I am relaxed and taking my time. 4) The more I practice, the easier it becomes. 5) I am feeling good and experiencing no hurry. 6) I have all the time that I need to accomplish this review. 7) I am completing my review. At this suggestive state of mind, you can review any material you wish in a matter of seconds over and over again. By being relaxed and saying to yourself that you have lots of time, your mind does indeed 'create' lots of time. You work at optimal levels of efficiency when you are relaxed and enjoying yourself. The more you prac tice this exercise, the easier it will become. Bring yourself out of the self-hypnotic state by counting backwards from 10 to 1 and then progressively awaken. Always give yourself a post-hypnotic suggestion that the next time that you want to experience self-hypnotic time distortion, it will be easier and faster to undergo. You can even create a tape for yourself with the above suggestions.